South Yorkshire Police are investigating an incident which took place after Saturday's League One match at Oakwell, both clubs having been asked by the force to provide their observations and share any video footage filmed in the tunnel area. 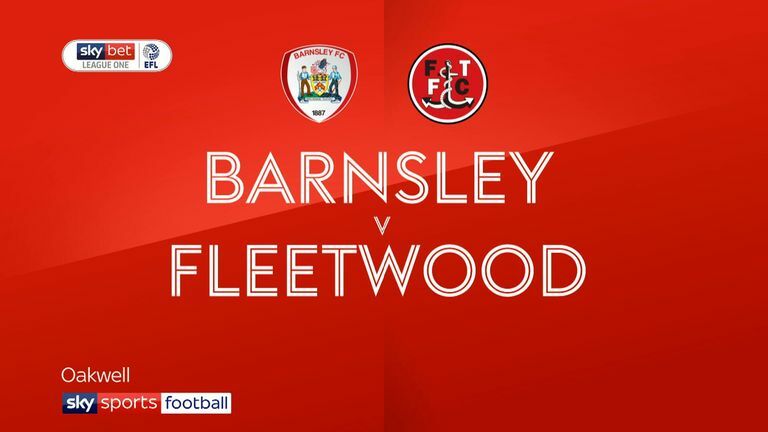 Barton's club also issued a brief statement on Sunday, which read: "Fleetwood Town have been made aware of an alleged incident following Saturday's game against Barnsley. "We are currently establishing the facts and will not make any further comment at this time." Harvey told BBC Radio Five Live: "As an off-the-field matter the tunnel is still in the domain of the referee but we will work closely with everybody to ensure it's not a case of who deals with the matter but actually the matter is dealt with properly. "I was told of the incident which has generally been described by others but ultimately there's no doubt, while everything is alleged, a very unseemly incident would appear to have taken place and it needs to be dealt with swiftly and properly. "The police investigation is ongoing so we need to leave the details for them to deal with. "I was stunned when I heard. We have all heard of tunnel fracas as players have left the pitch. It's the first instance I've heard, described as it has been, by those who witnessed it. "It's disappointing, it comes on the back of a number of challenges which have come to the surface for football to deal with. We need everyone who plays a part to lead by example."